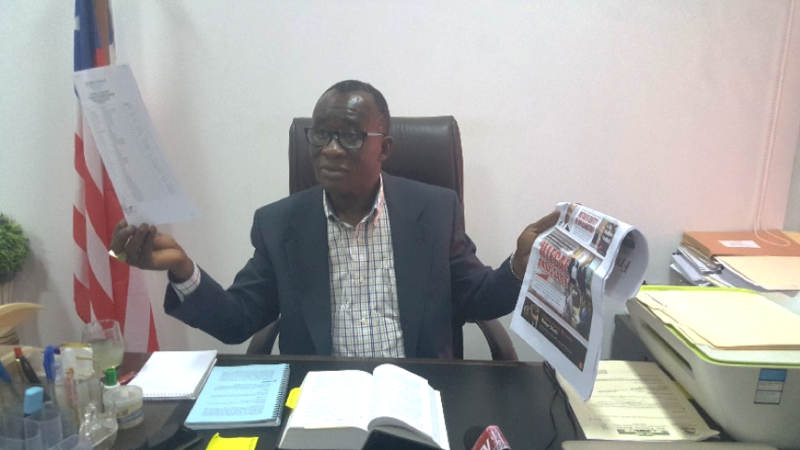 MONROVIA – The Secretary of the Liberian Senate, Nanborlor Singbeh, says the Senate did not vote to recall Liberia’s Ambassador the United States, Mr. George Patten, rather they voted to invite him to face the confirmation committee. Ambassador Patten was commissioned by President Weah on December 29, 2018 as Liberia’s Ambassador to the United States without letting him go through confirmation hearing by the Senate as enshrined in Article 54 of the Constitution. Article 54 of the 1986 Liberian Constitution, “The President shall nominate and, with the consent of the Senate, appoint and commission cabinet ministers, deputy and assistant cabinet ministers; ambassadors, ministers, consuls; and the Chief Justice and Associate Justices of the Supreme Court and judges of subordinate courts; superintendents, other county officials and officials of other political sub-divisions; members of the military from the rank of lieutenant of its equivalent and above; and marshals, deputy marshals, and sheriffs. However, it is argued that Pres. Weah relied on the Senate’s Standing Rule 55. This rule gives authority to the President to appoint officials of the executive while the legislature is on recess and inform them of his decision upon their return from recess. Maryland County Senator Gble-bo Brown moved plenary of the Senate to recall Amb. Patten, noting that the procedure through which he was appointed was unlawful and he should therefore be brought back for Senate’s confirmation hearing. The motion was, however, amended by Montserrado County Senator Saah Joseph who said it would be more appropriate to invite the Ambassador instead of recalling him. Singbeh insisted that President George Weah violated no law by commissioning the Ambassador contrary to criticisms coming from some quarters. Speaking to reporters on Friday, Singbeh said the Senate has no authority to recall the Ambassador, but can only invite him when the need arises.